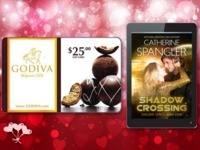 Celebrate the “Month of Love” with a Copy of Catherine Spangler’s SHADOW CROSSING and a $25 Godiva Gift Card! Two things come to mind when thinking of February and Valentine’s Day: romance and chocolate. So indulge yourself with a romantic book that will sweep you to other worlds, while you enjoy some decadent chocolate. 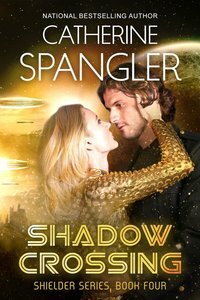 If you win the contest, you’ll receive a $25 gift card from Godiva and a copy of Caternine Spangler's new science fiction romance, SHADOW CROSSING. Here’s wishing you a wonderful Valentine’s Day!